Hands of Freedom Healing (HoFH) is a woman owned sole proprietorship which has been in operation since 2001. Judie Maron-Friend, the owner of HoFH began her journey into the energetic healing arts in the late 1970s resulting from a serious health challenge. This experience guided her to the care and tutelage of a gifted Homeopathic practitioner and was her introduction to the profound effectiveness of light and energy modalities. Judie has since gathered working knowledge of various other practices and modalities from many gifted mentors, teachers, and educators. Added to her Quantum-Touch certifications, Three in One-Tools of the Trade certification, and her BSFF practitioner’s certification, are several related areas of study. They are: all levels of The Silva Method training, including the healing workshop conducted by Jose Silva, Raja Yoga, and Tai Chi. 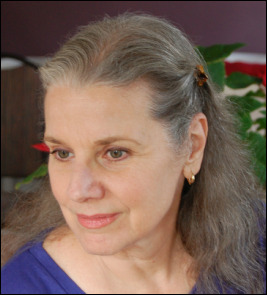 More recently her studies have included, Regenesis Level I & II, Quantum Entrainment, Field Training, Qigong, EFT (Emotional Freedom Technique), the Sedona Method and the Wonder Method. She has witnessed lasting results from her sessions with clients, especially so with soft tissue, structural, and acute conditions, and facilitating the clearing of emotional blocks. The emphasis of her practice is focused on instructing the Quantum-Touch Method including 2 advanced workshops and she is available for private and distant healing sessions. In 2018, Judie began a new approach to her workshops. Instead of listing a predetermined schedule for her Quantum-Touch classes, she is teaching her classes by appointment. That is, when someone contacts her about learning QT she will then list a class on the QT website. She will teach most any number of folks and no class size is too large or small. Teaching an individual this work is also acceptable, but having one other person to practice the technique with, during class time, is preferable. She is also available to instruct Quantum-Touch Workshops outside the Portland Oregon area to groups of 8 or more, by appointment.